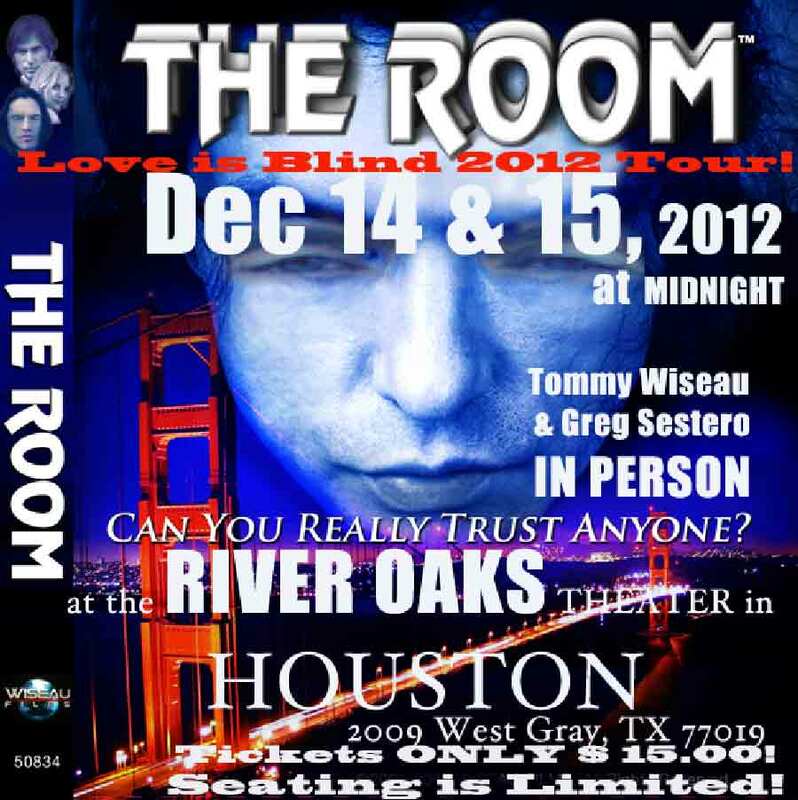 I'm sure you are familiar with our infatuation with Tommy Wiseau's The Room. Though we haven't reviewed it in earnest, it is embedded in our psyches, in the mission statement of our website. It is WHO WE ARE. Our devotion to the movie is extremely well documented. In any case, if you're in the Houston area and want to see Tommy Wiseau and Greg Sestero IN PERSON then you should go to the screenings of The Room at the River Oaks Theatre on December 14 and 15, 2012. You can buy tickets here. Here's the promo image I pulled off of the Official The Room Website, where it was somehow even more pixely and distorted.